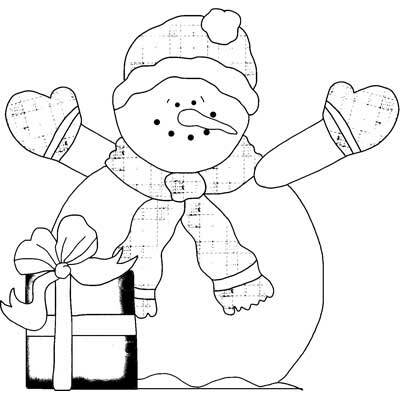 Snowperson template - Free and printable. Crystal the Snowperson has her Christmas gift ready for you. Use for crafts or a coloring page.